Where are the HIPAA protections if pharmaceutical companies can send "registered nurses to the homes of patients who are on expensive brand drugs to ensure 'compliance'" with prescriptions made by private physicians. Pharmaceutical companies really are the worst! In fact, I believe that there are a great many without consciences at all. 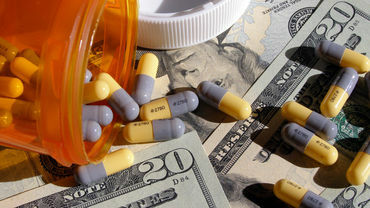 Nothing surprises me about 'Big Pharma' anymore, they are maggots in our system. They are killing people who cannot afford the inflated prices of their useless pills. I dumped my GP after his out burst: 'I am loosing my commission'. The reason behind that was, over prescription, and I did not oblige! Saved myself a lot of money. They've got to be forced into control, legally. Corruption, most particularly in medicine, where it means life or death, must be heavily and legally monitored and controlled. You know, the way the 1% of elitists that rule the planet do business. They could snap their fingers and rectify all of the critical global issues---like this one. So, as they choose not to, ask yourself what does that mean. Could it mean they only want one thing from the average citizens---our absence?